Got visa? | Мы рисуем розы. We do! Plus, we finally got places in the university dorm. Yay! Combined with our flight tickets, things are looking pretty good so far, don’t you think? We’ve also started saying good-bye to our friends (*sigh*) with an awesome party last week. Thanks, everyone, for dropping by! And for eating, or rather: almost drinking, the delicious wodka-cake. Baking and design by jo.ko & sahbrienaa. 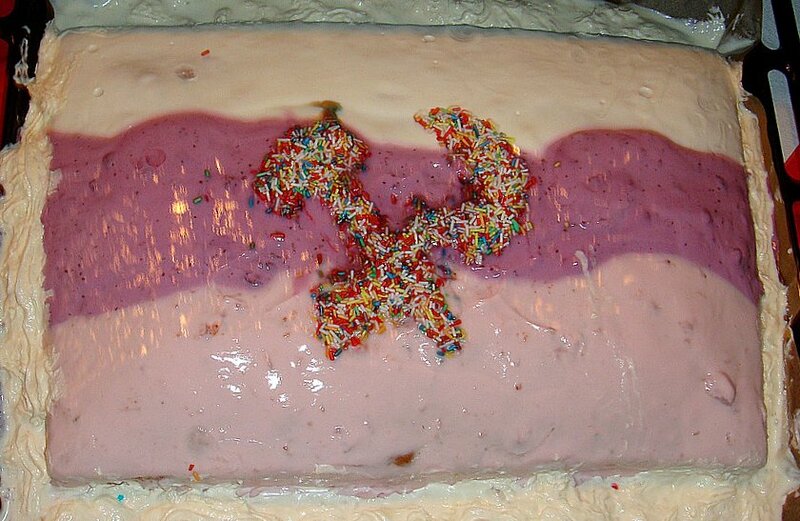 The flag of which country is represented by this cake? ~ by Vici Graf on August 23, 2009. There is only one word to say: amazing! nevertheless i’m happy for you – a visa AND some place to sleep! who thought it would be that easy? ?